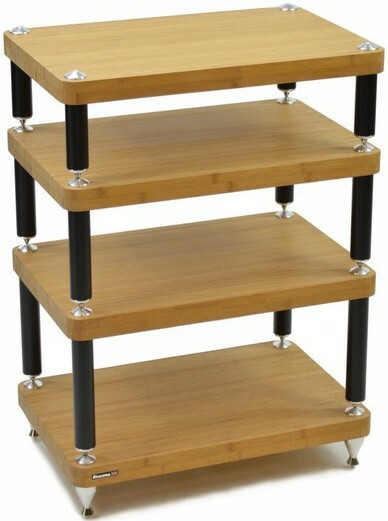 Award winning uprated version of the original Evoque Eco 60-40 stand. Please note: price shown is for 1 shelf. 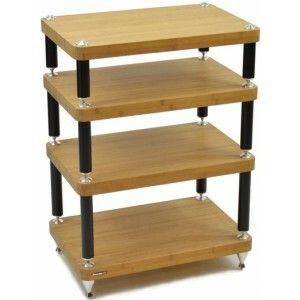 To order a full rack, add each shelf required to your basket separately. 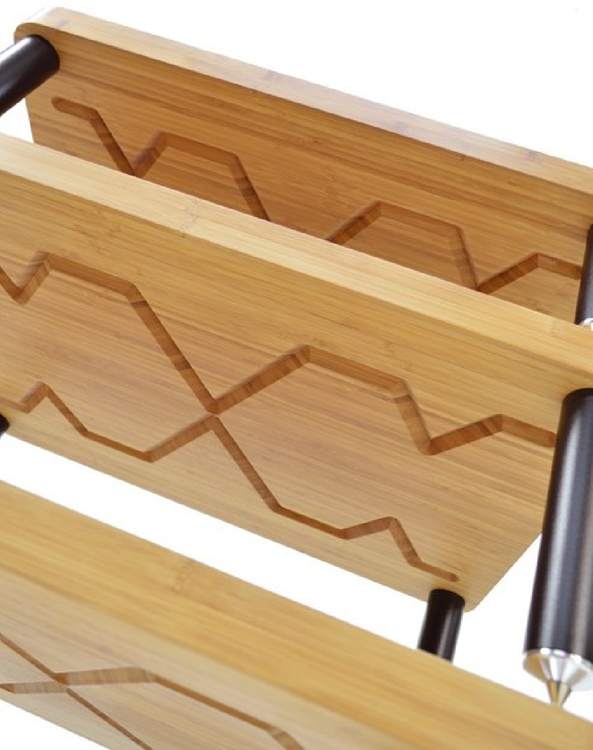 This is an upgraded version of the standard Evoque 60-40 rack and like the original, this SE version is a major technical advancement in Atacama furniture design. Available in a choice of natural, medium or dark bamboo finishes with a selection of shelf heights to choose from, you have greater flexibility to adapt the unit to your preferences and requirements. This SE (special edition) variant of the hugely popular Atacama Evoque Eco 60-40 hi-fi rack is packed with several significant improvements that dampen, control, isolate and direct resonance away from the equipment. These enhancements include lengthening the legs and incorporating rotating counterweights. 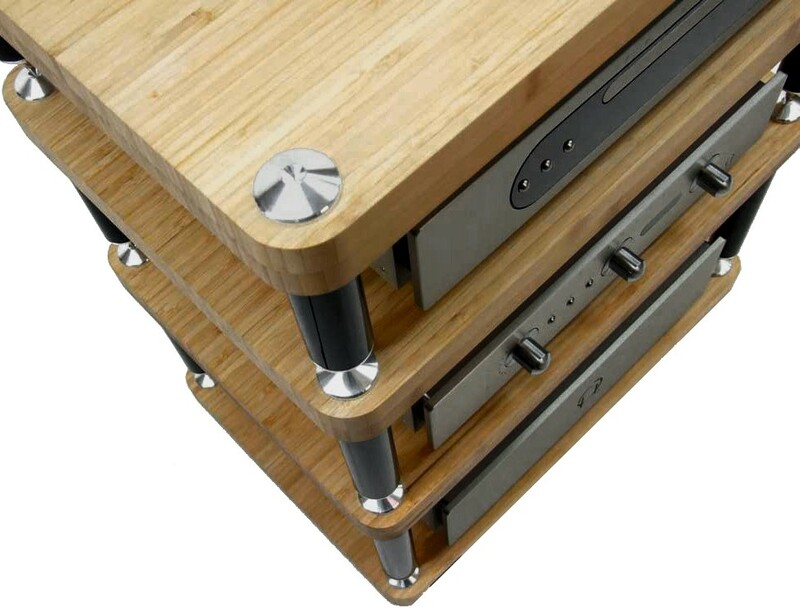 The channels carved underneath the bamboo panels serve to improve more than just appearance, these Vector Resonance Deflection Channels guide vibrations towards the legs. The steel feet have been replaced with bronze Isolation Coned Spikes which promote a tighter flow of sonic and mechanical resonance. As a result, the details in audio appear crisper and sturdier while low ends are better composed and instruments more organised. Despite all these improvements, this shelf remarkably comes with an rrp at only £25 extra a shelf. 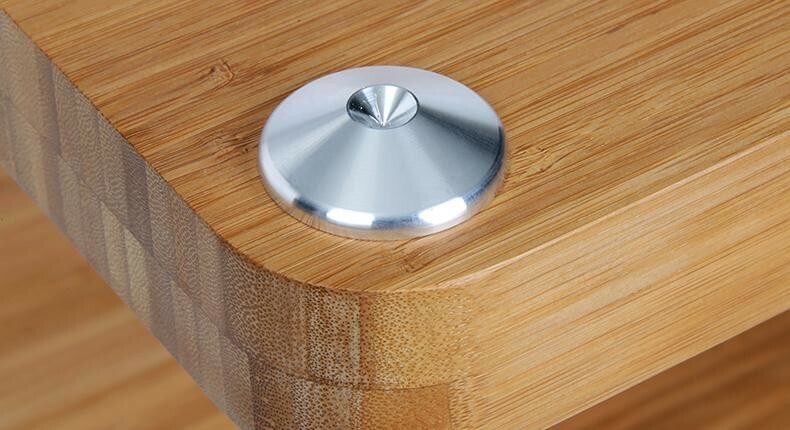 Aluminium Top and Lower caps incorporating Leg Internal Suds act as resonance conductors, allowing an escape route for this energy away from the bamboo shelves so that it can be dissipated through to the floor. Leg lengths are 15mm longer than standard Evoque, thus lowering the resonance frequency of each module when compared to an equivalent standard Evoque. By adding additional fully adjustable mass via Nickel plated Bronze frostrum cones to the leg internal studs, the module frequency can be tuned to dial out the resonance of the specific equipment being supported. The price shown is for one shelf only. 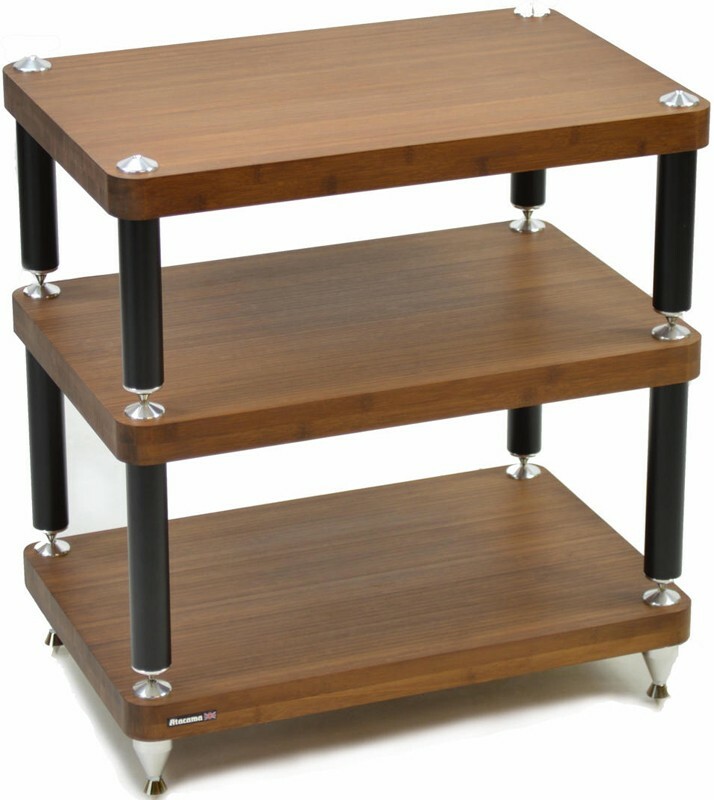 To order a full hi-fi rack, add each shelf to your basket separately (for example, start by selecting shelf colour and a "75mm base" as your first shelf. Then select shelf colour again and select shelf spacing for the next shelf on your rack. And so on, until you have as many shelves as you want. For a 4 shelf stand, you will add 4 shelves separately to your basket). Please note Atacama will colour match shelves together at the time of ordering (so please order as many shelves as you need now - due to the nature of bamboo, ordering an extra shelf later may not perfectly match). If you get stuck ordering this stand online, please call 0844 50 403 50 or email us with your name and phone number and we'll call you back to take your order. This beautifully crafted British made Atacama Evoque Eco 60-40 Special Edition hi-fi stand makes a stunning centerpiece ideal for supporting and maximizing the performance of premium hi-fi set-ups. 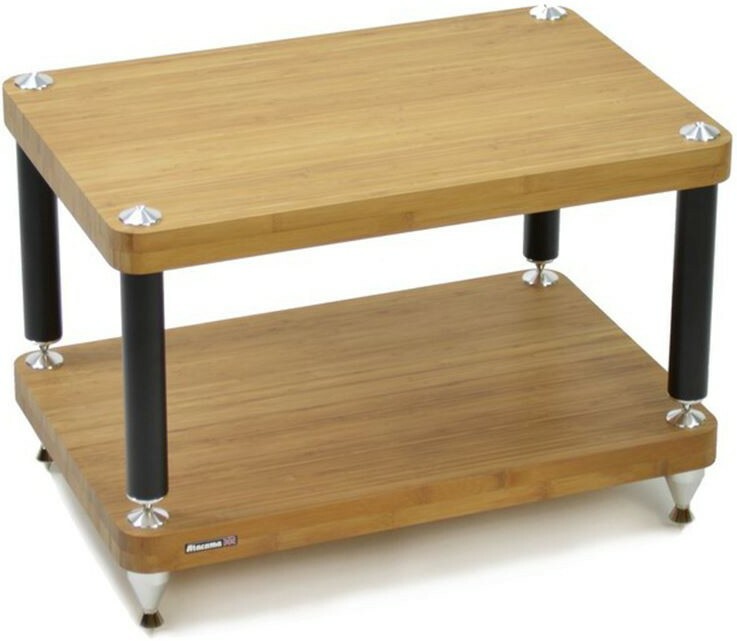 To complete the look, we recommend adding matching bamboo speaker stands from our hugely popular and award winning Atacama Moseco Range which are available in various heights between 500-1000mm.